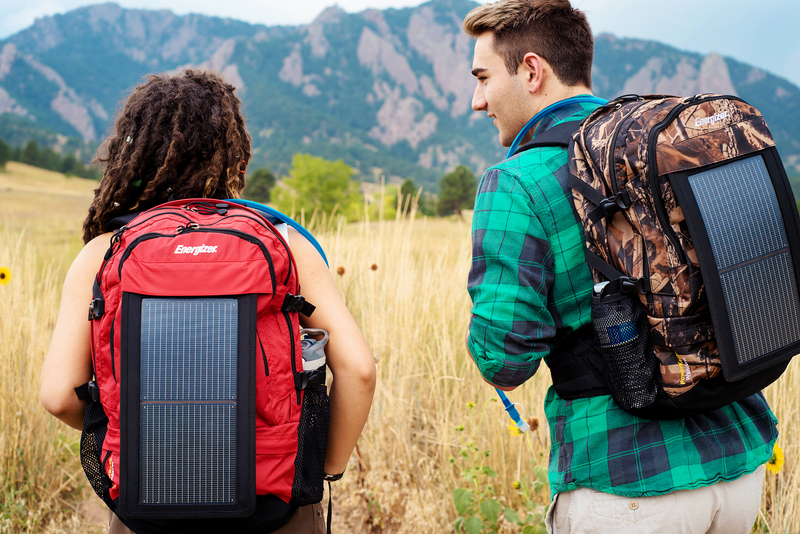 Energizer PowerKeep's Wanderer backpacks have flexible solar panels attached. PowerKeep started when CEO Kevin Magenis couldn’t find a solar-powered product that worked for him. He was looking for something portable, durable and able to easily use to provide power in remote or backcountry situations. The result was combining specially designed solar panels with batteries, which led to a natural partnership with Energizer. Magenis said while there are other portable solar-power devices, there are two factors that set Energizer PowerKeep apart. One is that products are designed with the right-size battery combined with the panels, rather than the consumer having to buy them separately and marry them together. This makes the two better integrated and ultimately a better singular product. The other benefit, Magenis said, comes from the panels themselves. Energizer PowerKeep panels are bendable. In fact, they can be folded into 90-degree angles, dropped or dipped into water without breaking. Initially, Energizer PowerKeep has four products they’re releasing: a 10-watt solar panel that can be folded up to a 5 inch by 5 inch square and charge a cell phone multiple times, a system that can recharge AA or AAA batteries for items like flashlights, and two backpacks with solar panels attached — one for outdoor recreation and one for business commuters. Products are made locally. The solar panels come from a Denver company and items are assembled in Loveland. In the future, Energizer PowerKeep is looking to go bigger, releasing products that can charge items like lighting for a house or even running a TV or pump, making them ideal for emergency situations. Magenis said his company is poised to market to first responders and emergency relief organizations like FEMA and the Red Cross. But he added that what his company is doing is perfect for day-to-day activities.